We spent my most recent 25-yet-again birthday in Esfahan last week. Murph reckons that this is the 20th birthday I’ve spent with him – how’s that for making a body feel old!! No matter, his observation prompted a conversation that lasted all day where we tried (and failed) to remember where we’ve been on each of those birthdays. I decided that from now on we should take an official “Birthday Photo” with a landmark in the background. 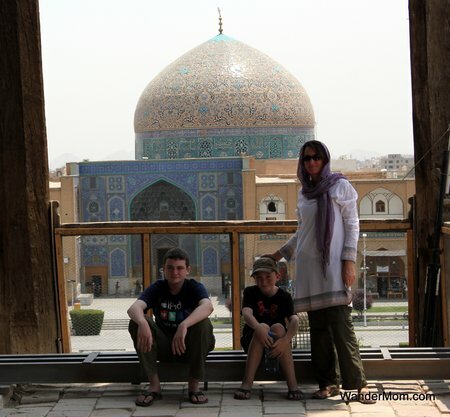 Ta-Da: me and my boys with the Sheikh Lotfollah Mosque, Esfahan, Iran with it’s glorious, intricate, Islamic tile-work behind us. This entry was posted in Iran and tagged Clothing, Iran, Photo Friday, Women in Iran on July 8, 2011 by wandermom. Me, in my PJs. Or at least the awesome Snow Angel base layer clothing which I’ve been depending on to keep me warm as we’ve traveled through in the Andes in Peru and Ecuador. 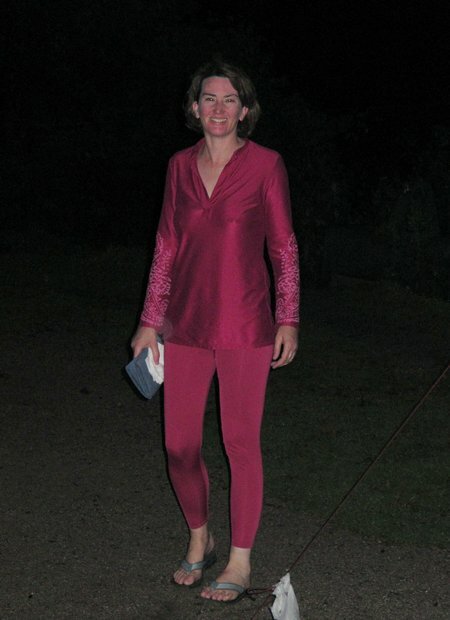 This entry was posted in Advice And Resources and tagged Clothing, Product Review, Snow Angel, snow-angel.com on October 18, 2010 by wandermom.